A one-week residency for local/regional/national choreographers to create a new piece to be shared in a culminating showing open to the public at the Ruth Page Theater. 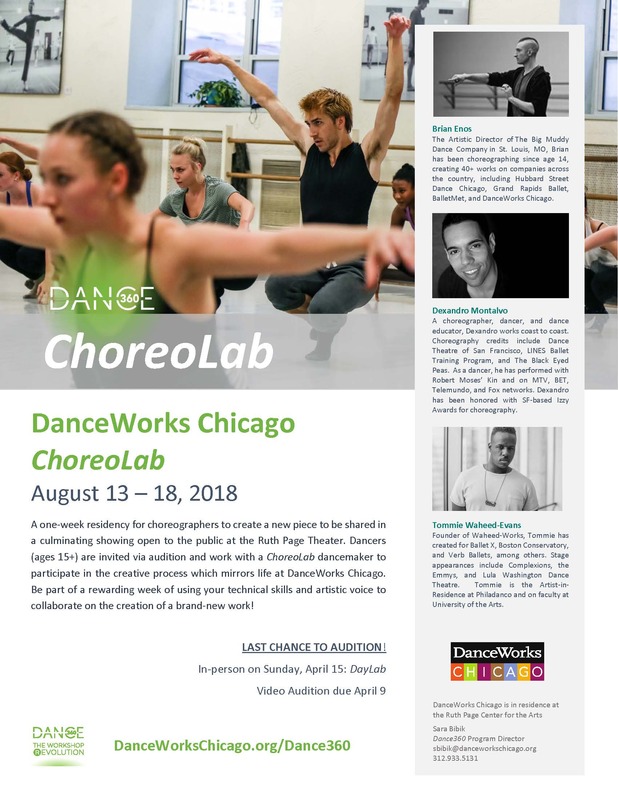 Choreographers are chosen by special invitation from DanceWorks Chicago’s Artistic Director. 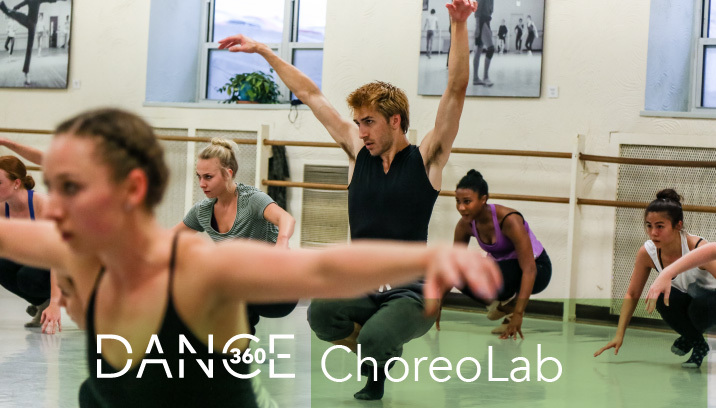 Dancers are hand-selected by a ChoreoLab dancemaker to participate in their creative process which mirrors life at DanceWorks Chicago. Days start with a morning technique class followed by rehearsal, coaching, and sharing. Be part of a rewarding week of using your technical skills and artistic voice to collaborate on the creation of a brand new work! By audition only: In-person Auditions are available via DayLabs. Video auditions accepted through April 9.